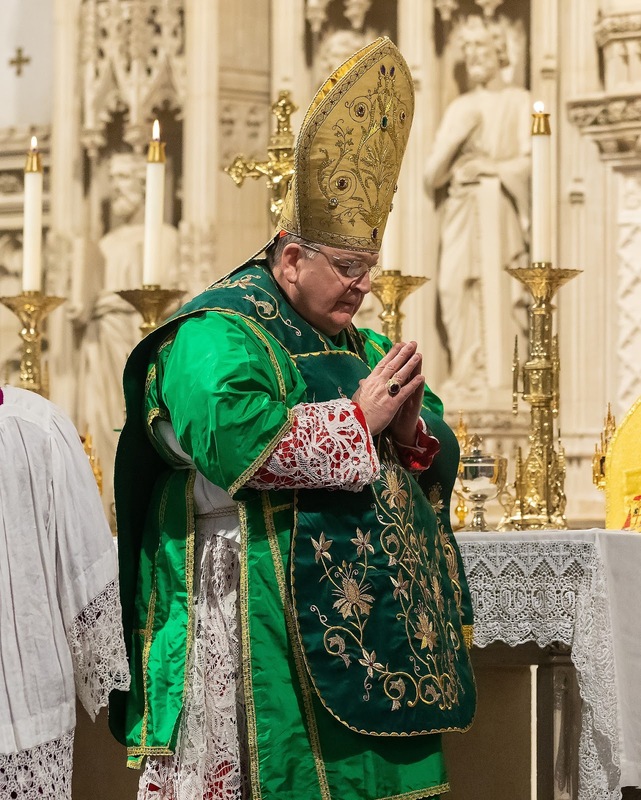 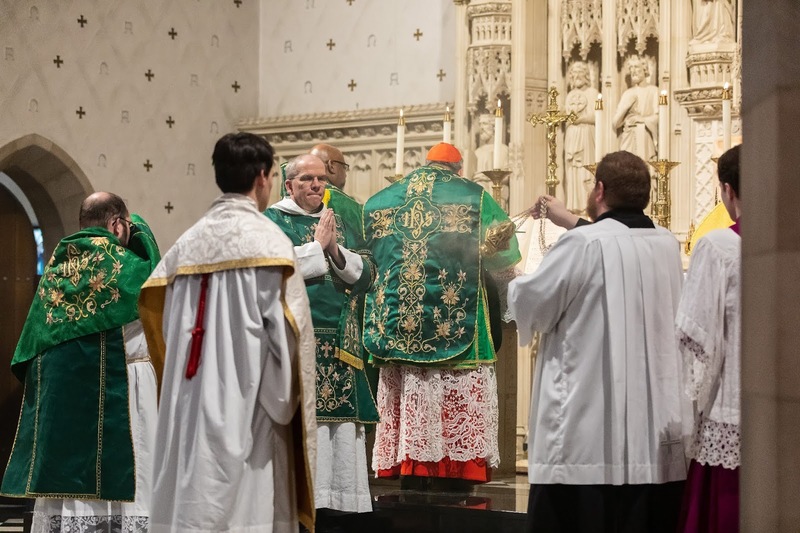 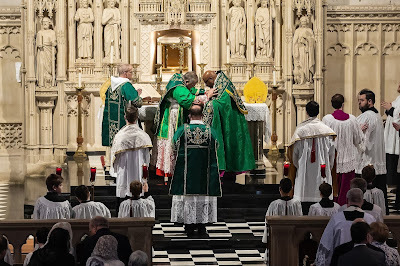 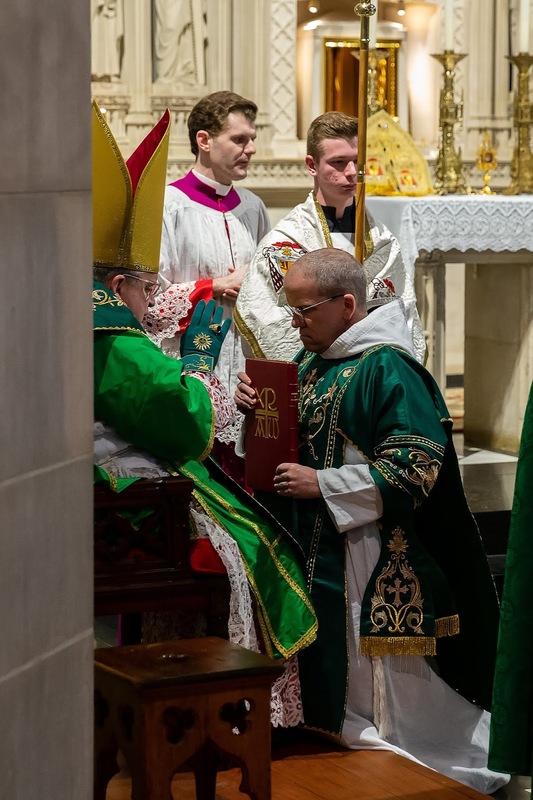 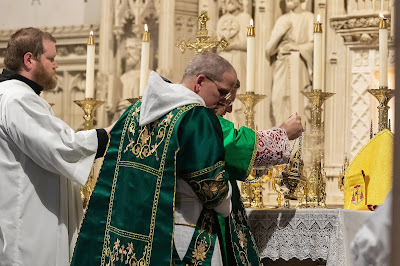 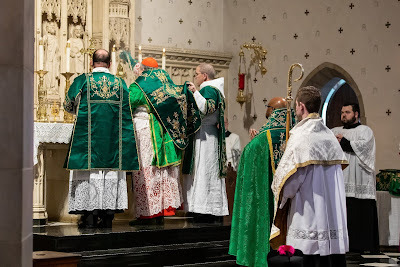 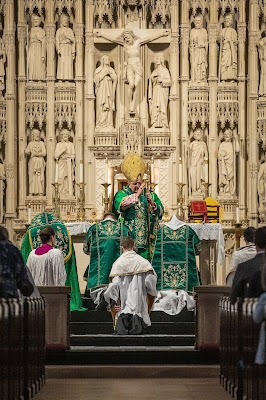 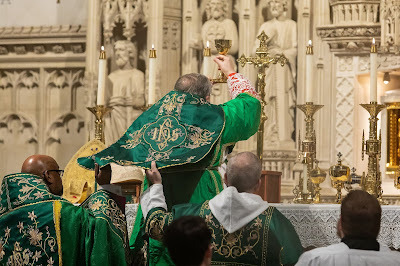 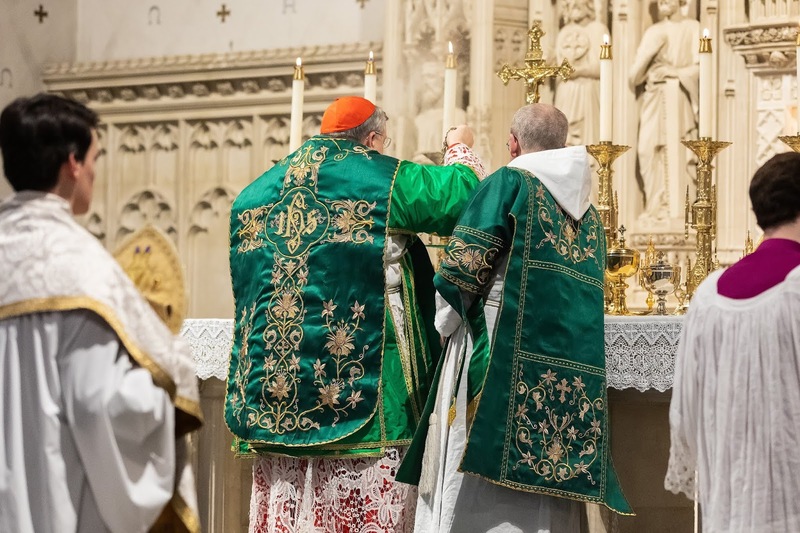 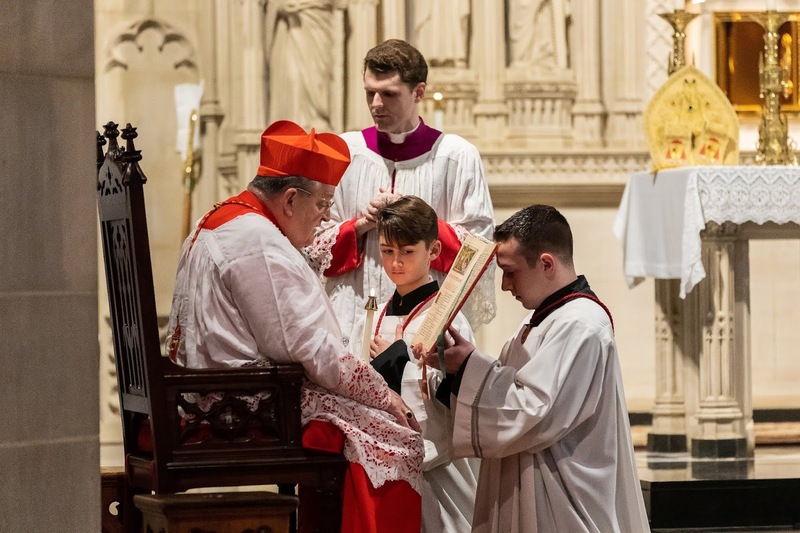 On Sunday, January 20th, His Eminence Raymond Cardinal Burke celebrated a solemn Pontifical Mass in the traditional rite at the Oratory of Ss Gregory and Augustine in St Louis, Missouri, where he was archbishop from December 2003 until June 2008. Once again, it should be a great source of encouragement for us all to see how young the people are who made the effort and committment to put together this kind of ceremony, which requires a good deal of work and rehearsal. 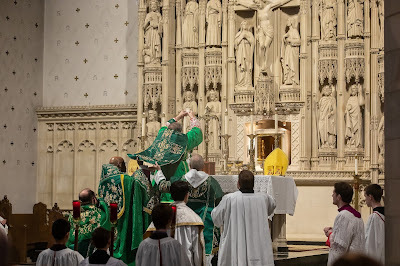 This is plainly not based in nostalgia, but a real love for the richness and beauty of our Catholic liturgical tradition. 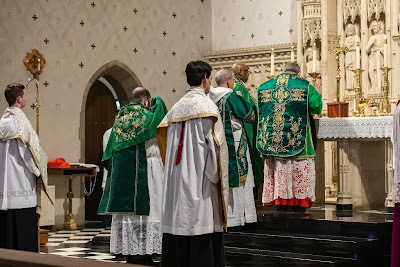 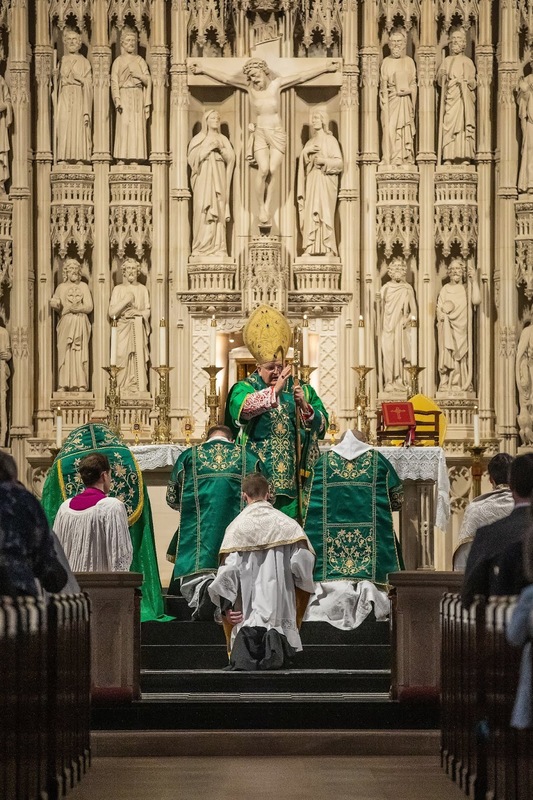 We should also note that the Oratory is a parish of the archdiocese; for decades, Pontifical ceremonies in the traditional rite were almost unheard outside of the Ecclesia Dei orders. 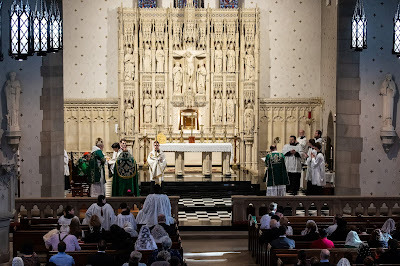 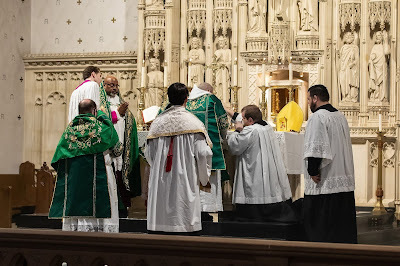 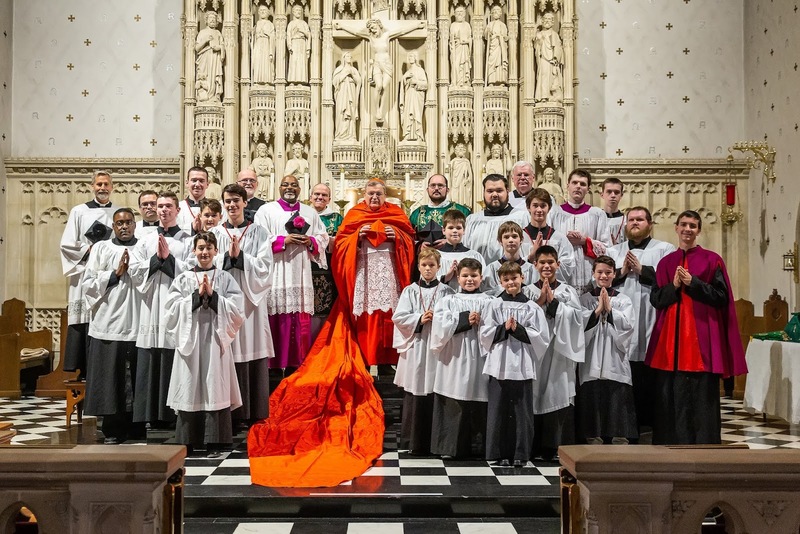 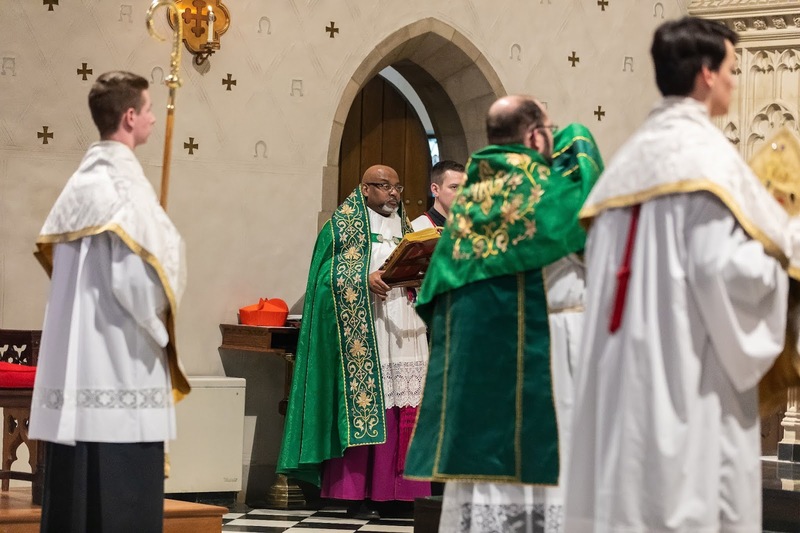 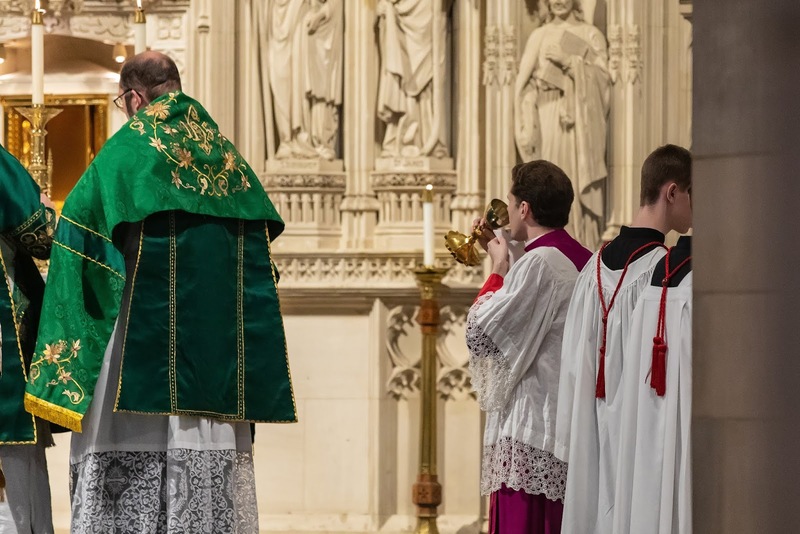 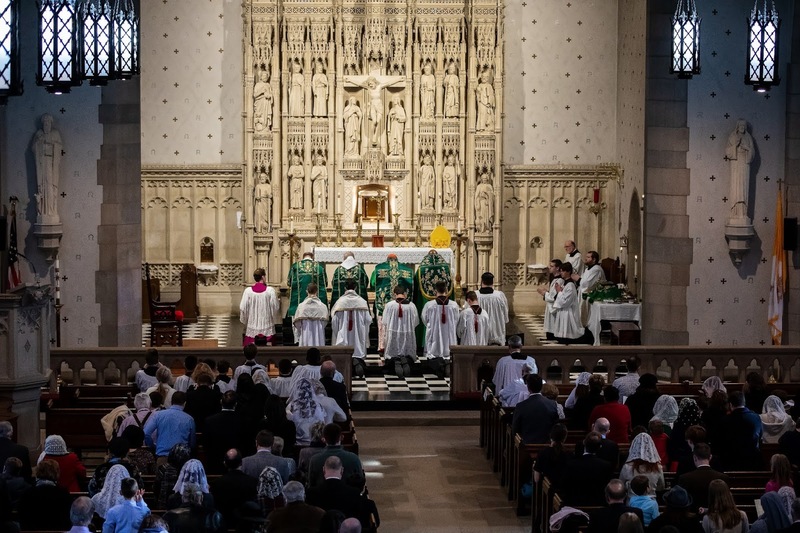 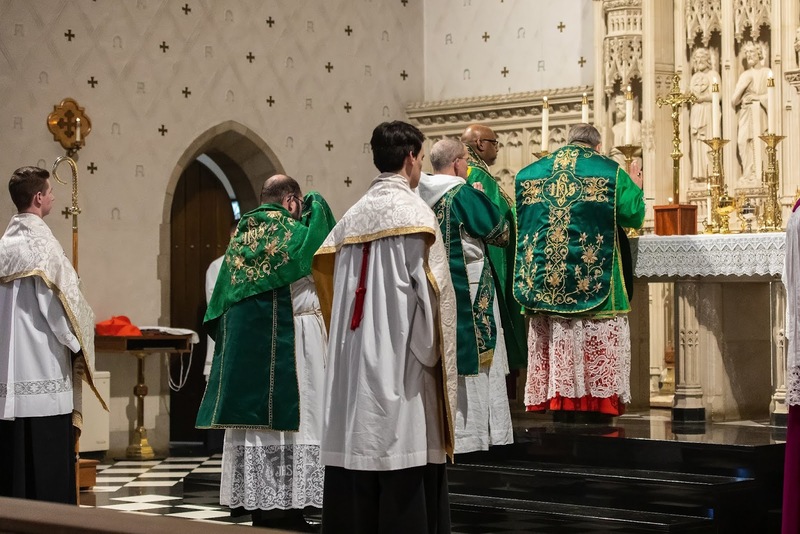 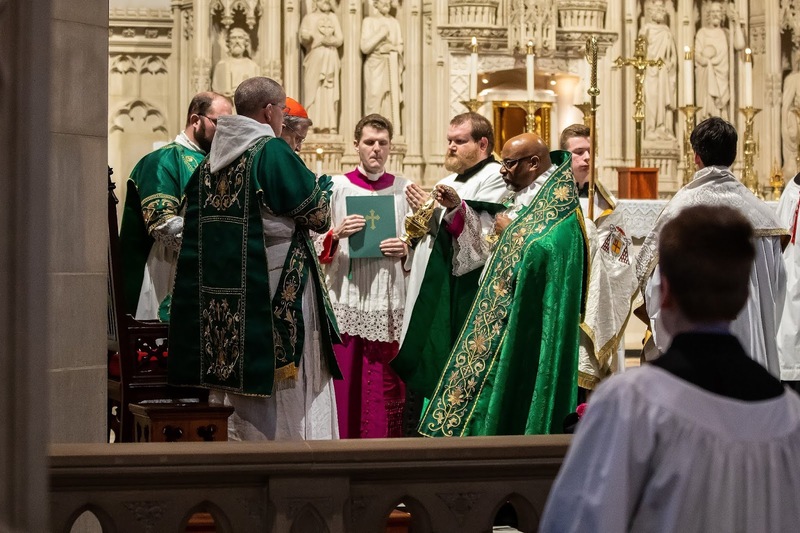 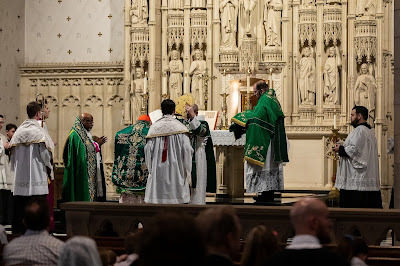 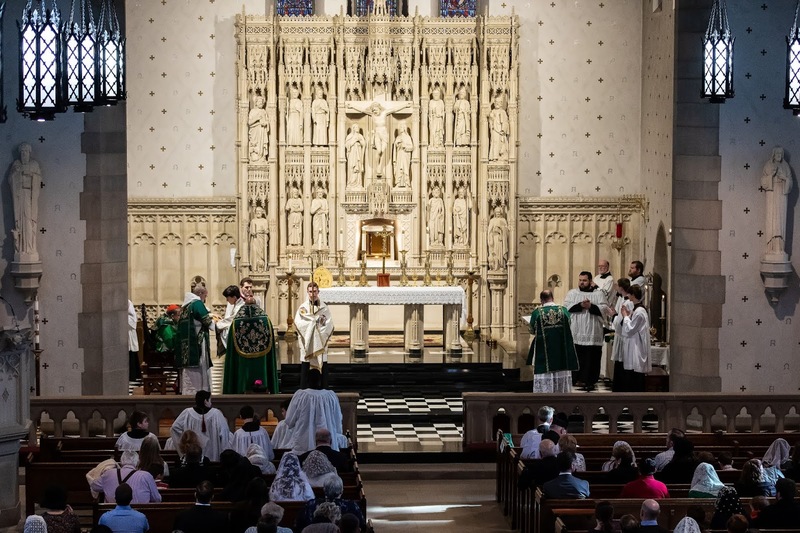 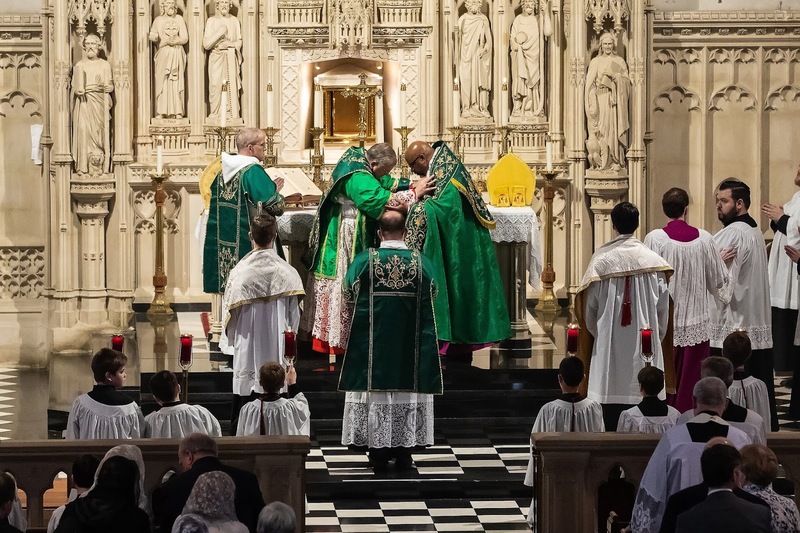 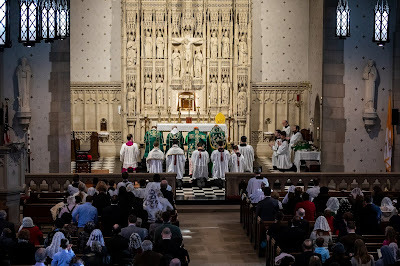 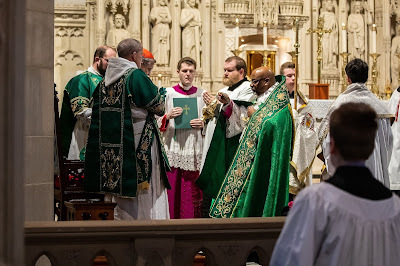 Finally, we also note that there were no deacons at the throne, but for the best of reasons, namely, that such a large portion of the diocesan clergy were away for the March for Life. 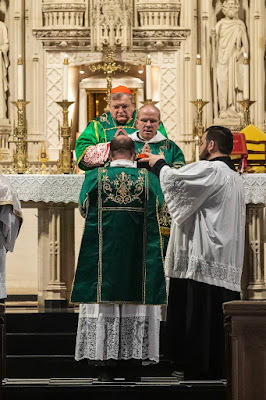 The Deacon is blessed before singing the Gospel. 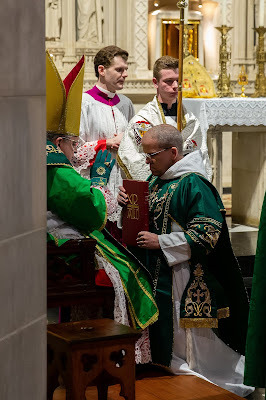 The Cardinal is incensed by the assistant priest after the singing of the Gospel.